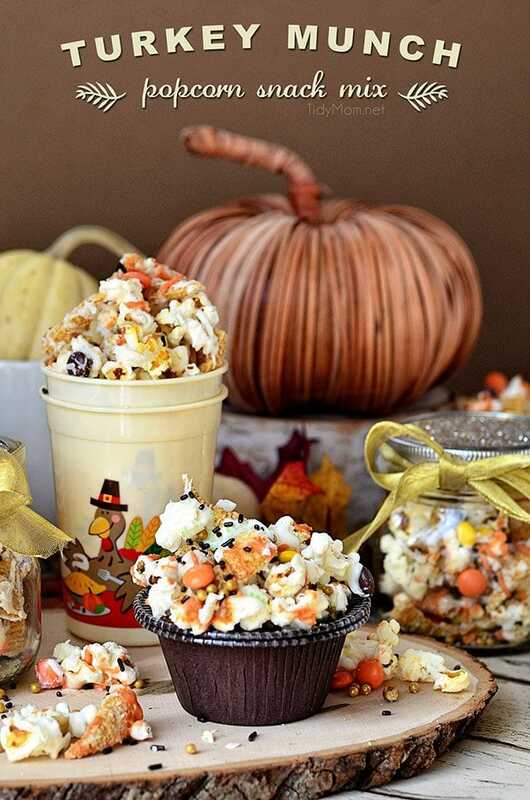 Everyone will want to join the kids’ table when they see these Adorable Thanksgiving Treats and party snacks. There’s everything from turkey treats to harvest fare and everything in between! This is week 383 (7 years) of hosting this I’m Lovin’ It linky party. Each week I feature some of the posts that caught my eye from the previous week. Please take a moment to visit the featured blogs ……..then scroll down to see what’s being shared this week. Candy Corn Turkey Thanksgiving Cupcakes at Crafting Chicks. With colorful candy corn feathers and the most adorable faces, these Candy Corn Turkey Thanksgiving Cupcakes will get gobbled up in no time! Sugar Cone Thanksgiving Cornucopia tutorial at Growing Up Gabel. Sugar cone Thanksgiving cornucopia is a fun Thanksgiving treat! Fruit flavored candies are used to create mini fruits and vegetables to fill a sugar cone cornucopia. Candy Pretzel Turkey Bites at Suburban Simplicity. These Candy Pretzel Turkey Bites are tasty and adorable. The perfect dessert idea for your Thanksgiving party or celebration! Flower Shaped Mini Pumpkin Pie recipe from Walking On Sunshine. Top these mini pumpkin pies off with fresh whipped cream and a sprinkle of cinnamon and sugar for a delicious dessert! Pumpkin Pie Cheese and Crackers at A Bird and a Bean. They look like pumpkin pie! Perfect for your Thanksgiving appetizer or any fall party. And they are so simple to make! Maple Walnut Spritz Cookies recipe from The Gold Lining Girl. Delicate, buttery spritz cookies, flavored with pure maple syrup and ground walnuts. Spritz aren’t just for Christmas, and these Maple Walnut Spritz Cookies capture the essence of fall. Oreo Turkeys at Lil Luna. How cute are these chocolate dipped Oreos with candy melts as feathers, candy eyes and a butterscotch chip beak? Kids love these! Thanksgiving Turkey Cheese Ball at Crafts a la Mode. This cheeseball turkey looks like he’s sitting on a nest of crackers. This will definitely be fun to serve at the Thanksgiving table. 20 Pie Cookies to make for Thanksgiving! There is nothing better than pie after Thanksgiving dinner. But cookies that look like pie or taste like your favorite pie would be a great addition to the holiday dessert table! I just might be the best way to have more than just one slice of pie! 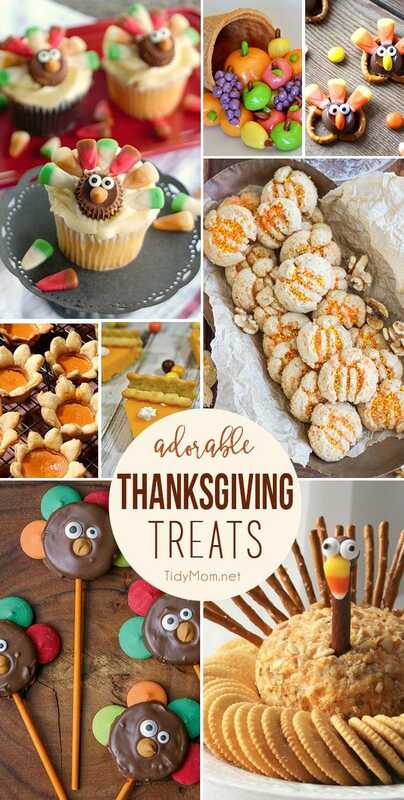 Before you grab that turkey leg, check out this array of super cute turkey and Thanksgiving crafts and treats to make and eat with kids and adults! 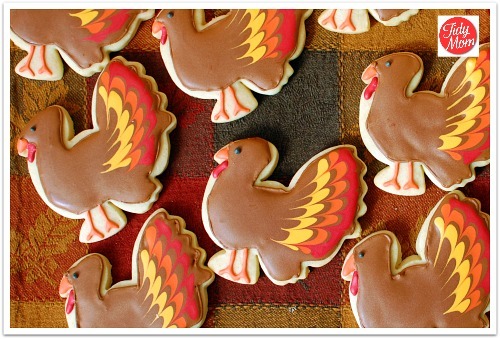 Make these delicious and colorful turkey butter cookies for your family to GOBBLE up on Thanksgiving. 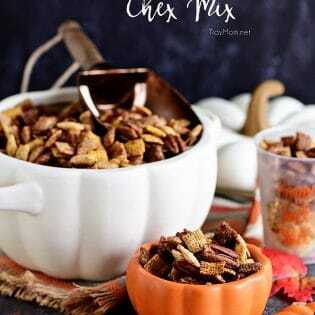 Turkey Munch – Fall Popcorn Snack Mix is an easy popcorn mix full of fall flavor and color comes together in just 10 minutes, perfect for parties or gifts. 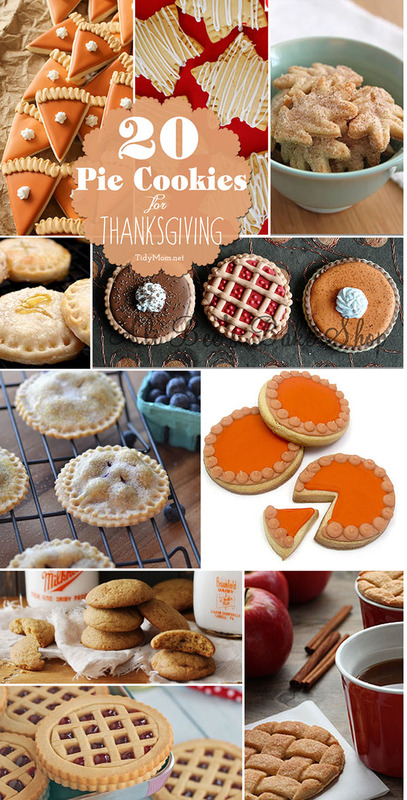 Thank you for including my mini pumpkin pie treats this week! 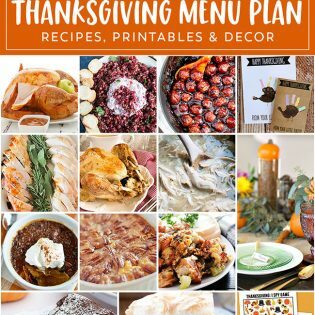 I want to make all of these Thanksgiving treats. They look delicious and I think my family would appreciate them. It’s perfect that the crafts are easy for kids. The turkey munch looks like my jam!